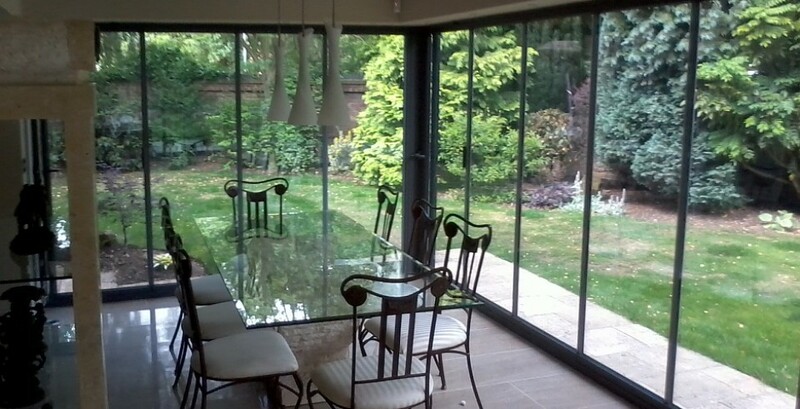 We designed and launched our Double-Glazed Frameless Glass Door system in 2009 and it remains the only retractable Patio Door system available today with Kitemarked double-glazed Frameless Glass units. It is manufactured exclusively at our premises. 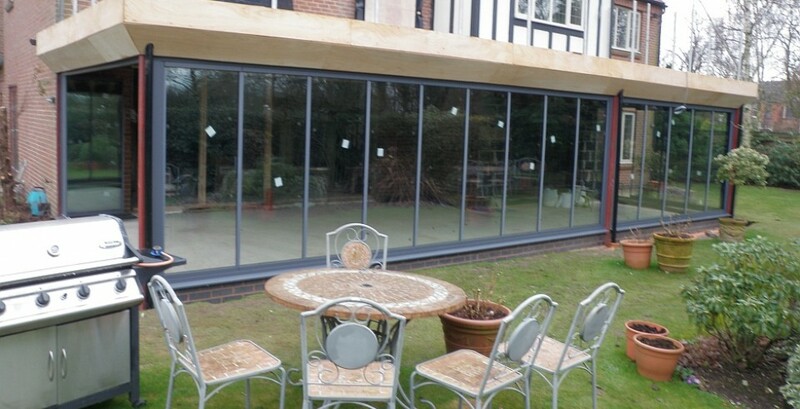 Similar to our UltraSlim range, the DG-Frameless system comprises one main doorway for general use plus a number of individual slide-and-turn panels that can be stacked to one side of the full opening, to allow maximum access between rooms or to the garden. 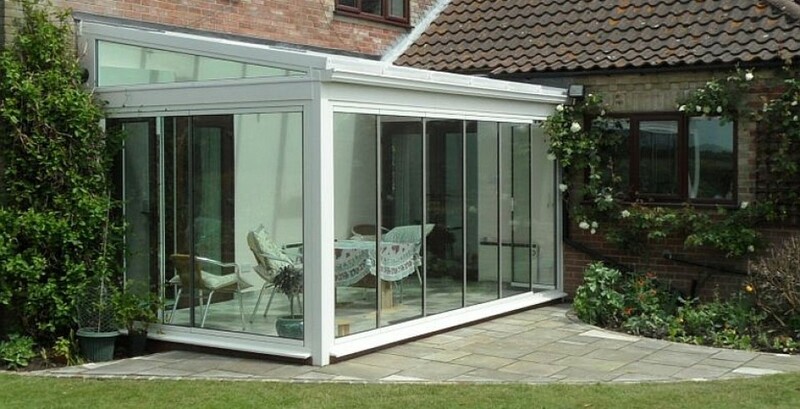 The main difference is that UltraSlim doors have an aluminium frame around the glazing unit, covering the seal. 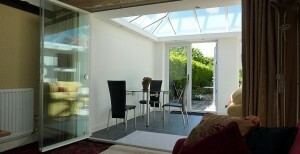 Why Choose DG-Frameless Glass Doors? 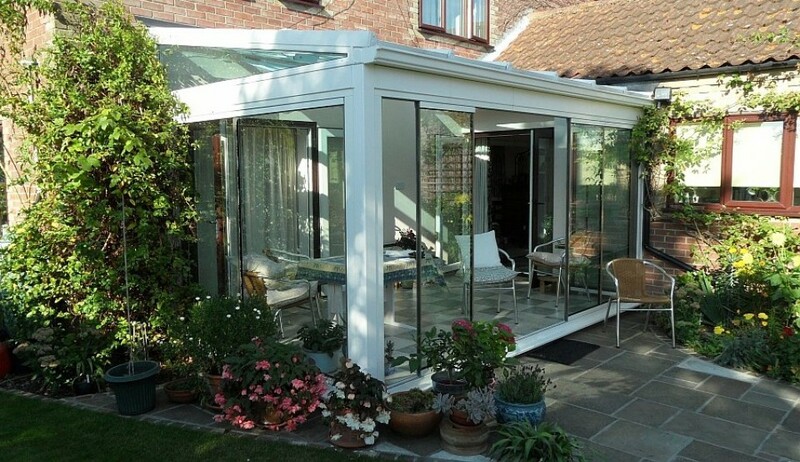 DG-Frameless is suitable for patio doors and for access to conservatories, thus providing insulation when closed (an ‘A’ rating for energy efficiency), maximum access when open and more glass than conventional bi folds to provide superior light-flow and viewing, whether open or closed. There are no aluminium side frames on these doors otherwise the door options are the same as our UltraSlim range. 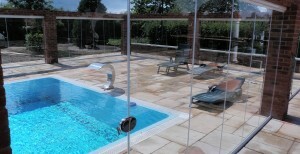 Following a site survey, DG-Frameless can usually be manufactured and installed within a month. For an obligation-free quotation, please submit the quote request form. You can view examples of all our door styles in our photo gallery. For areas where double-glazing is not required, you may prefer our tempered glass doors as room dividers or retractable glass enclosures.